I recently attended the MicroStrategy World conference, which was held in Washington, D.C. and it celebrate its 20th anniversary, which is why MicroStrategy hosted the event near its headquarters. 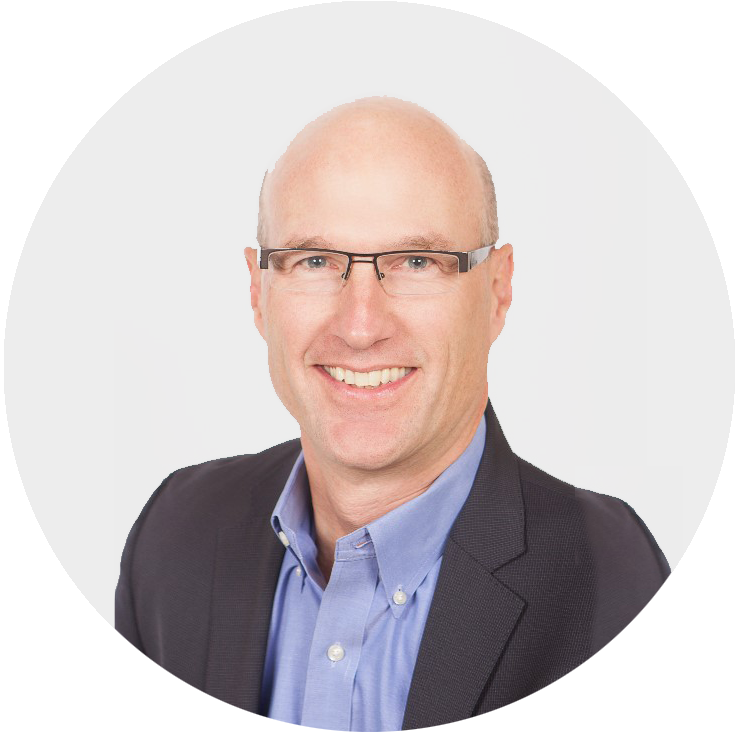 Over the past 20 years, the market and technology for business intelligence and analytics have significantly changed, and in several changes, MicroStrategy has been at the forefront. Now is a good time to examine the company’s position in the market and its latest offerings in context of the analytics market direction that I recently presented. In some ways, MicroStrategy is the original big data analytics company. It was founded on the premise that the underlying database is the best place to process analytical data. At the time, that meant processing analytical data in relational databases. This approach involved many challenges that I won’t go into here, but then, most other online analytical processing (OLAP) vendors were using multidimensional database engines that managed data in cubes. MicroStrategy’s approach allowed users to analyze more data because relational databases were more scalable than multidimensional databases. This approach also positioned the company to take advantage of various big data alternatives as the market developed, including data warehouse appliances, analytic databases and, more recently, Hadoop, NoSQL databases and other big data sources. MicroStrategy was also a pioneer of mobile business intelligence, investing heavily in Apple iOS versions of its products and more recently expanding support to Android devices. 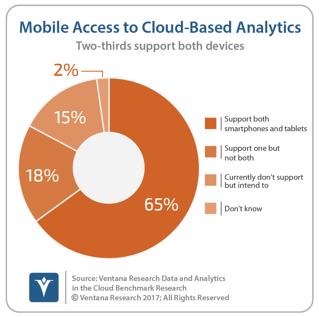 Our benchmark research on data and analytics in the cloud finds wide use of mobile business intelligence: More than four out of five (83%) organizations said they access analytics and BI via mobile technology. In this area MicroStrategy was a top rated Hot Vendor and Value Index Leader in our 2016 Mobile Business Intelligence Value Index. MicroStrategy was one of the first and is still one of few BI vendors to close the loop on analytics, enabling users to take action and initiate transactions from its mobile platform. The company has built a broad portfolio of BI and analytics capabilities over the years, extending from traditional query and reporting capabilities to data discovery, visualization and self-service analytics. In fact, the breadth of its capabilities was the focus of CEO Michael Saylor’s keynote at the conference and is a key differentiator relative to other vendors in the BI market. I spoke to several customers at the event who welcomed Saylor’s presentation because it echoed the main reason their organizations selected MicroStrategy: the breadth of its platform. Beginning with MicroStrategy 10, the company adopted a quarterly release strategy, designating releases as either platform releases or feature releases. The company intends to make platform releases at 18-month intervals and will provide support and updates for three years. These releases are intended for organizations that cannot or do not want to upgrade frequently. MicroStrategy plans feature releases at three-month intervals and will support each of these for six months. The company requires customers to upgrade the feature releases regularly, hence the shorter support period. The most recent platform release is 10.4, and the most recent feature release is 10.7. MicroStrategy 10.4 focuses on scalability and manageability. The platform now supports eight node clusters, up from four, and users can isolate workloads and assign them to different parts of the cluster based on “work fencing” or “user fencing.” As the names imply, work fencing allocates resources to certain types of workloads so that, for example, big batch jobs don’t prevent small queries from executing. User fencing allocates resources to users, ensuring, for example, that executives can get quick responses when they use the system. Other features address installation issues by speeding it up, simplifying it and enabling automation. The 10.5, 10.6 and 10.7 version include a number of API enhancements, making it easier to embed MicroStrategy in other applications and thus extend the product. These APIs also make it easier for partners to integrate their products with MicroStrategy’s. Spokespeople announced several new partnerships at the conference or in conjunction with 10.7, including Alation for data cataloging and governance, Automated Insights and Narrative Science for natural language generation and Paxata for data preparation. With 10.6 version, MicroStrategy made its desktop version free and focused on improved information sharing. Users can distribute dashboard files with interactive offline access to data. In addition, the company enhanced the export engine so that it produces highly formatted PDF dashboards with maps, custom visualizations and HTML content. The release also included new mapping capabilities such as multiple layers, bubbles, polygons and density maps. The breadth and depth of MicroStrategy’s products means both installation and configuration can be complex, but these releases have made strides toward improving installation. Its data preparation partnerships and API enhancements will help improve the configuration of the data and metadata the products need. Although MicroStrategy got a head start in big data, it still has more work to do to squeeze the same kind of performance out of these environments that it has achieved with relational databases. An additional area where I’d like to see more improvement is advanced analytics, either directly or through partnerships, to support data science and machine learning. Today MicroStrategy is primarily an execution environment, not an environment that creates these types of analytics. However, our benchmark research on big data analytics shows that more than three-quarters (78%) of organizations cited this as the most important area of big data analytics. Nevertheless, the future looks bright for MicroStrategy. CTO Tim Lang gave the closing keynote by presenting some cool new features most of which are highlighted here, including a preview of MicroStrategy Dossier, a content library with well-considered search capabilities for navigating and governing data and analytics. Dossier supports natural-language search, version control and collaboration capabilities that will help large communities of users create and access the content they need. If your organization needs a complete and robust business intelligence and analytics platform, I recommend that it consider MicroStrategy.